There’s a battle that I have within myself every time I am pregnant. The battle that exists is the lack of motivation to spend lots of money on a wardrobe that I will only wear for a few months, and yet the desire to not look like a total frump that has lost all sense of fashion. It often seems that the price on maternity clothes is at least TWICE as much as normal clothing which makes zero sense to me. Plus, I find it very hard to find anything I like in nearby stores. For my 3rd pregnancy, I actually went to several stores to find out that a.) their maternity section was completely picked over, or B.) their maternity section no longer existed in any nearby stores (thanks a lot GAP!). Jane. This site doesn’t feature near as much as Zulily, more like one or two items a day, so it’s hit or miss, but their shipping is faster! I found a couple of cute maternity (and baby) items here, plus a few cute tunics that weren’t maternity, but work just as well (paired with some comfy leggings). All kinds of cute stuff for babies though, so if you are working on getting little one’s wardrobe ready, definitely check Jane.com out! This is where you can usually find those cute baby moccasins for $15.99 (rather than $40+ on other sites). 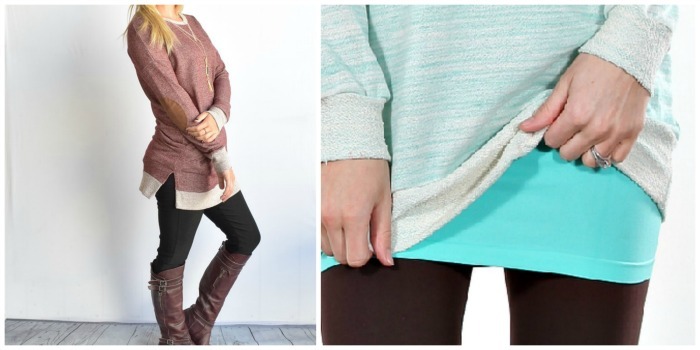 Here are a couple of things I bought on Jane most recently for this pregnancy (they often have extra long layering tanks which are great for when your clothes start not fitting anymore). Amazon. This might be one of my top favorite places too just because of the options, the shipping, and because I love Amazon’s customer service and return policy on most things. Their maternity section has way more than I thought they would and they feature some of my favorite brands (Pink Blush Maternity, Motherhood, and others). ThredUp. If you don’t mind gently used clothing, this is a great place to find good deals. I say why not? 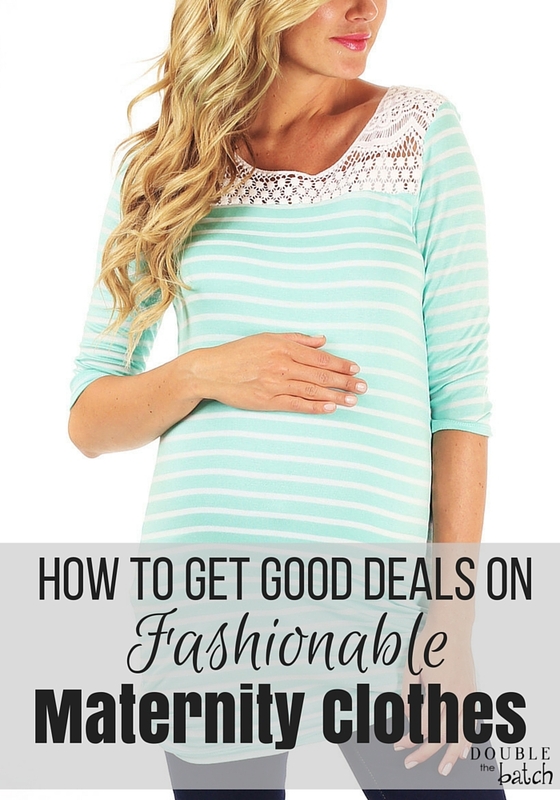 Pay full price on clothes you will wear all the time, not on your maternity clothes! They feature a lot of GAP, Old Navy, Motherhood, and some other popular brands. I saw a cute maxi dress on there the other day that I would have purchased if I wasn’t on my last few weeks of pregnancy right now! Get $20 off your first purchase here. You can also find some good deals on maternity clothes at GAP, Old Navy, and Target. As a sidenote, if you’re looking for a good baby monitor I would 100% recommend the Owlet. It wasn’t exactly a “must-have” in my book until it saved the life of my friend’s baby. Now I try to get the word out about this product every where I can. If good sleep is a must for you, then you need an Owlet! It alerts you if your baby stops breathing in the night, which is especially reassuring when you first get home from the hospital, or any time your baby is sick!